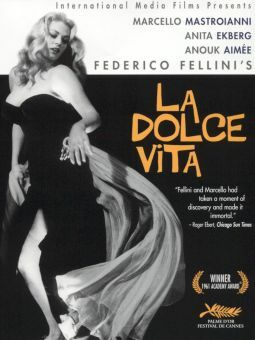 This ground-breaking film won a Special Jury Prize at the 1960 Cannes Film Festival and established its director, Michelangelo Antonioni, as a major international talent. 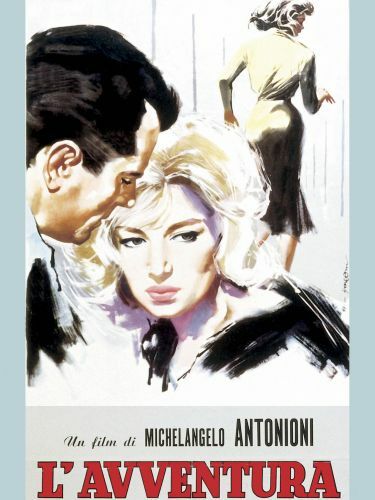 The plot concerns a yachting trip by a small group of jaded socialites, including Sandro (Gabriele Ferzetti), an aging architect who sold out for easy money long ago, his mistress Anna (Lea Massari), and her friend Claudia (Monica Vitti), who doesn't fit in with the wealthy jet-setters' dissolute ethics. 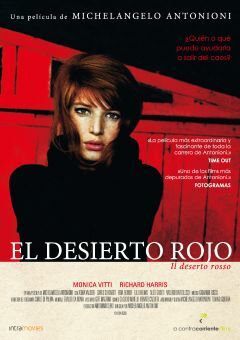 When Anna disappears during a tour of a volcanic island, Claudia initially blames Sandro's emotionally barren behavior toward her. 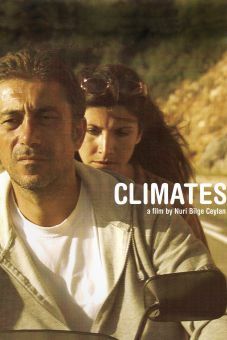 As they search the island, however, Claudia and Sandro grow closer and -- when it is apparent that Anna is gone forever -- become lovers. 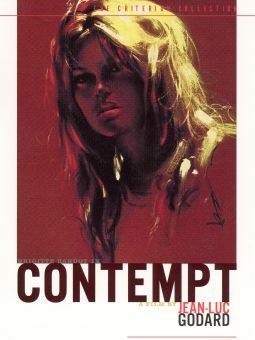 Unfortunately, Sandro cannot find anything decent inside himself and betrays Claudia with a local prostitute. Caught in the act, Sandro has a heartrending breakdown on a desolate beach, but Claudia silently forgives him. 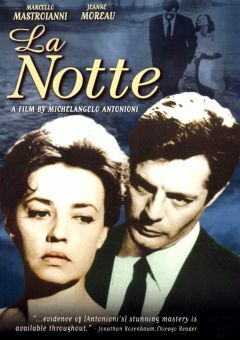 L'avventura caught many audiences who were expecting a mystery by surprise; as in La notte (1961), The Eclipse (1962), and Red Desert (1964), Antonioni is interested less in developing a logical story than in exploring states of feeling and breakdowns in human connection.